Over the years my wife and I have bought some pretty amazing things that we would think the average foodie would love to receive as a gift. With the holiday season rapidly approaching, we figured now would be appropriate to share our favorite items any foodie would appreciate. We didn’t stick to any pricing guidelines, but we think these are pretty reasonable gifts. So here we go. I don’t think a lot of people think about salt when they think of ingredients, but any chef knows that salt can either make or break a recipe. Too little salt in a recipe is just flat and bland. Another way to add flavor or texture to a dish is to sprinkle some finishing salt on top of your finished dish. My wife bought my first finishing salt last year for Christmas. Finishing salts are salts with a large grain size or salt that have been flavored with special ingredients like smoke, wine, or citrus. 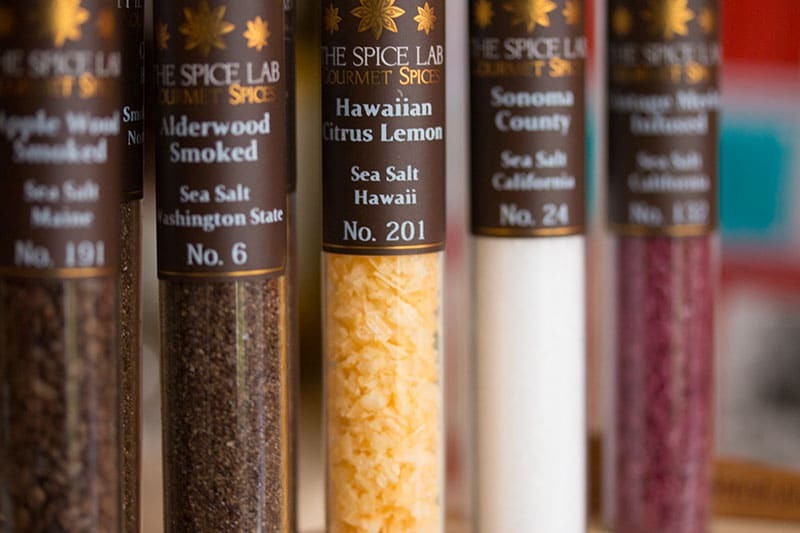 Finishing salts can also come from special regions where their source of salts is known for its distinct flavor characteristics, Hawaii for example. Finishing salts are great on steaks or even some chocolate treats. My favorite use of them is probably in risottos. Risottos really need a healthy dose of salt for it to really sing true. Finishing salts come in a large range of flavors and crystal sizes. Ok, so I could have included this in the finishing salts, but anything truffle infused is a different monster. 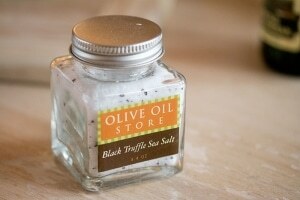 Truffle salt is exactly what it sounds like, salt that has been infused with truffles. We kept this separate from the finishing salts because of its potency. Truffle salt is strong and a little goes a long way. The smell can be so strong that it can be offensive to some, but I absolutely love the flavor. Truffles are virtually impossible to find in the south (and I’m not crazy about the price either), so using truffle infused salts is a great substitute. This salt is phenomenal in mushroom risottos or scrambled eggs. Just remember, a little goes a long way, and I’m not exaggerating. Duck fat is one of those ingredients that just about every foodie knows about or has at least seen on a menu at least once. Duck fat can be used to saute anything. 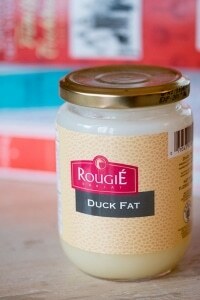 Duck fat can be found online pretty easily. I don’t have a whole lot of uses for duck fat because it’s a tad expensive for everyday use and it really should be used to highlight the far itself (in my opinion). Fried fingerling potatoes that have been tossed in duck fat and roasted in the oven is one of the classic and best ways to highlight the flavor of duck fat. It also goes really well in pan frying veggies like Brussels sprouts. Brussel sprouts, plus duck fat, plus a healthy dose of salt, equals amazing. Who doesn’t love cheese? People often skip buying real Parmesan cheese for the pre-grated stuff in the green can. Did you know the stuff in the green can has filler in it? It’s probably not even real. Gross. After you try the real stuff, you’ll never go back. 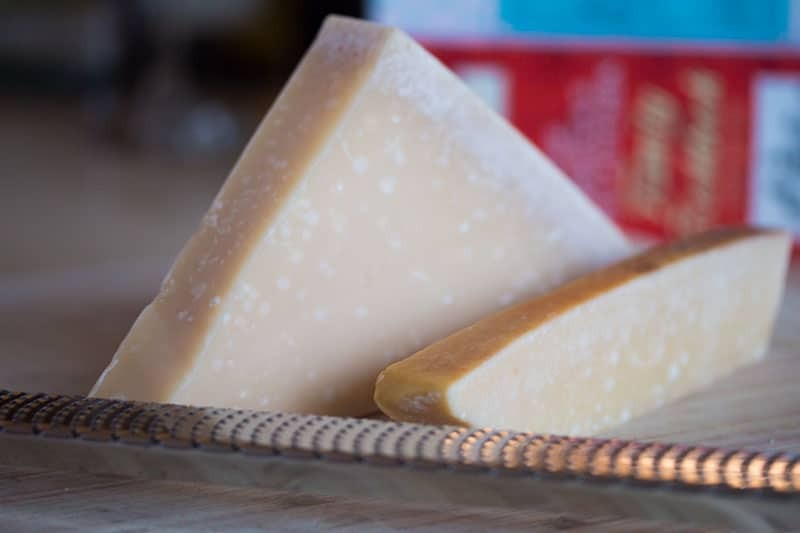 A pound of real Parmesan cheese will last you longer as well as a little goes a long way. Try some freshly grated Parmesan cheese on your next Caesar salad. For parmesan crisps, place two tablespoons of grated Parmesan cheese into a 2-3 inch circle in a non-stick pan and cook until the cheese has turned golden brown. Slide the chip onto a cooling rack. After it cools it should be super crispy and tasty. If you don’t know who Julia Child is, you should. She is probably the most iconic and influential American tv chefs of all time. She was renown for her French cooking techniques and her bubbly personality. Her Mastering the Art of French Cooking is a book I believe every home chef (if not every chef) should have on their bookshelf. 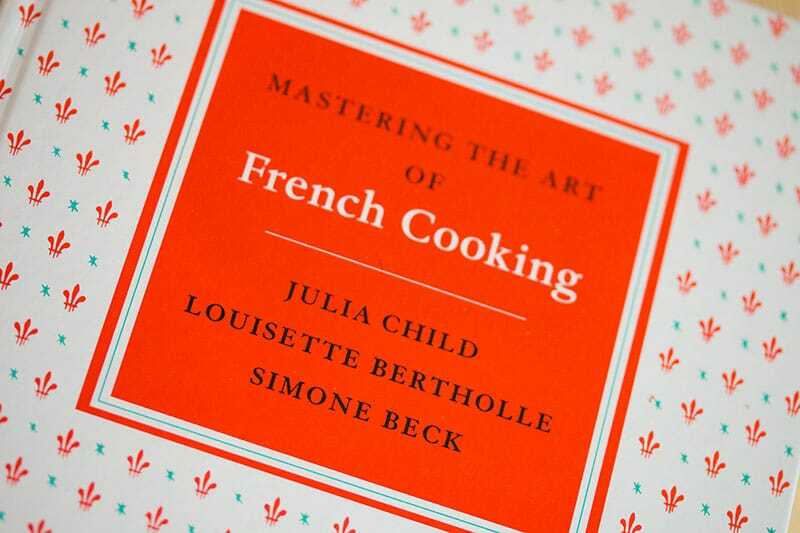 The book is full of absolutely delightful recipes and cooking techniques that can be used beyond french recipes. This book is a great gift for anyone interested in cooking. Just about every home chef I know loves cookbooks. A lot even like to show them off in their kitchen. The America’s Test Kitchen Cookbook is one of those cookbooks that my wife and I pull out pretty regularly. It’s chock full of amazing and delicious recipes that have been tasted tested to oblivion. If you’ve ever seen their YouTube channel, then you know what I mean. Like Julia Child’s cookbook, The America’s Test Kitchen Cookbook is a great source for learning cooking, recipe ideas, and cooking techniques. 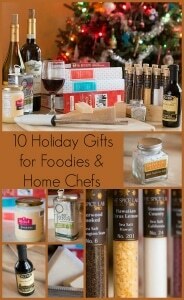 This book makes a wonderful gift, foodie or not. 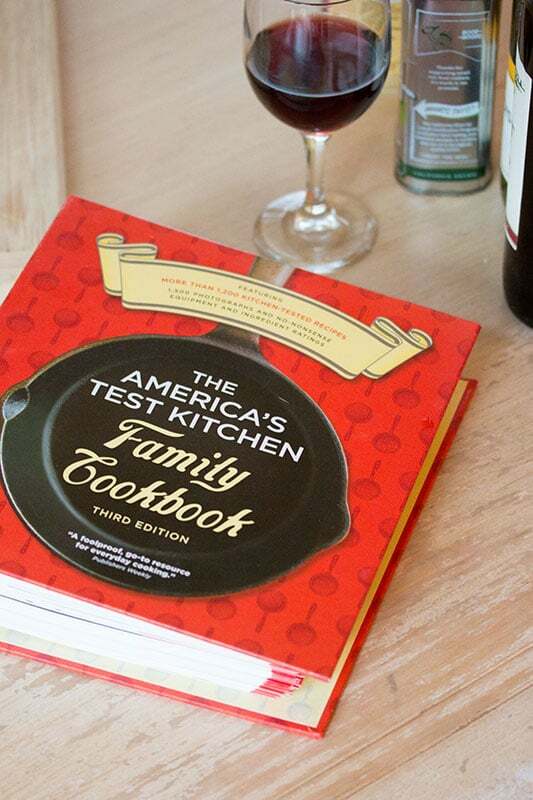 America’s Test Kitchen has a bunch of cookbooks on a variety of topics. Anyone of them would make an excellent gift. Their book titles The Complete America’s Test Kitchen TV Show is another amazing source for recipes. In college and throughout most of our young adult lives, my wife and I never know how to make a properly mixed drink. I still quiver at the thought of the awful stuff we threw together. 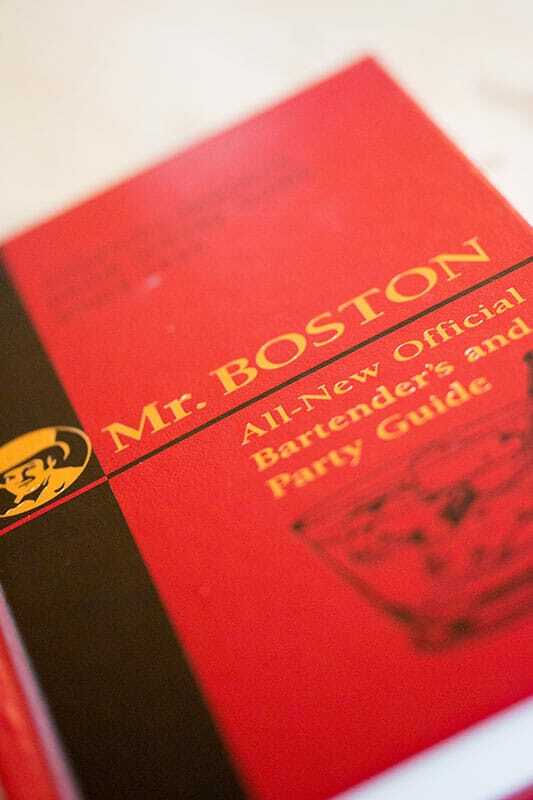 The Mr. Boston Official Bartenders Guide is a great source for classic cocktails. A properly made cocktail is an amazing thing to behold. I never really tried cocktails after college and I grew out of the “partying” scene. However, as a more mature adult, I have discovered the world of cocktails from the Mr. Boston book. I still vividly remember my first time having a properly made old fashion. And holy crap is it amazing. Be amazed with recipes like old fashions, whiskey sours, or amaretto sours. There are enough recipes in this book to keep any home bartender the hit of any party. This gift is great for anyone from young adults in college to your grandfather who’s looking for the perfect nightcap. Wine is an easy to track down gift. 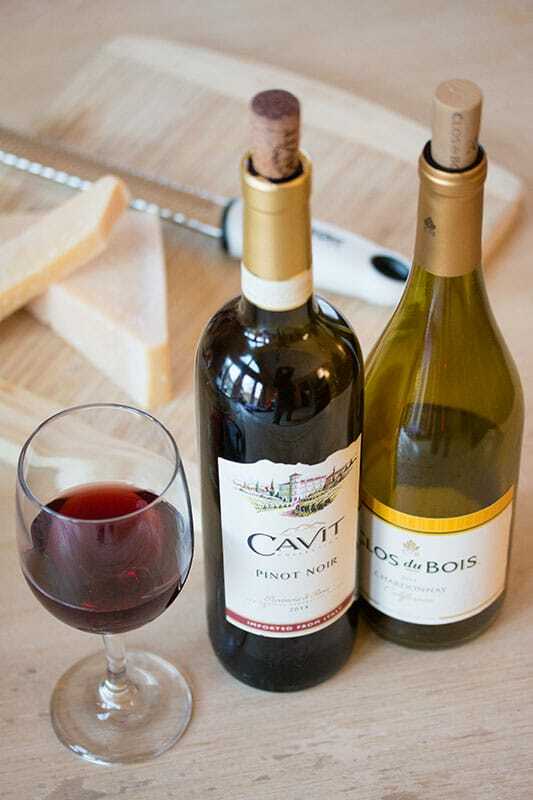 Home chefs should always have a bottle of red and white wine around just for general cooking. Red wine is a great addition to red sauces. Think spaghetti, chili, sloppy joes, etc. I know chili and sloppy joes seem crazy for red wine, but it really does add a layer of flavor you can’t get anywhere else. I usually brown my meat, add the red wine and let it simmer and let the meat cook in the wine until the wine is almost cooked down. I then keep on cooking as usual. White wine is always great to have around the house. We use it a lot in sauces and risotto. We recommend gifting a bottle of pinot noir or chardonnay. And if your foodies don’t want to cook with it, then they can just drink it. Wine is never a disappointing gift. Olive oil is one of those things most people overlook when thinking of holiday gifts. Who really wants a bottle of oil? Well, I knew we would and we have received olive oil on a few occasions as gifts, so we are appreciative. Extra virgin olive oils can be used to finish dishes or used with bread. Be careful when choosing your olive oils because there are a lot of fake olive oils running around. You want to be sure to purchase olive oils that have gone through quality screening and have a seal of approval from USDA, NAOOA, COOC, or EVA. These seals should be clearly visible on the container. 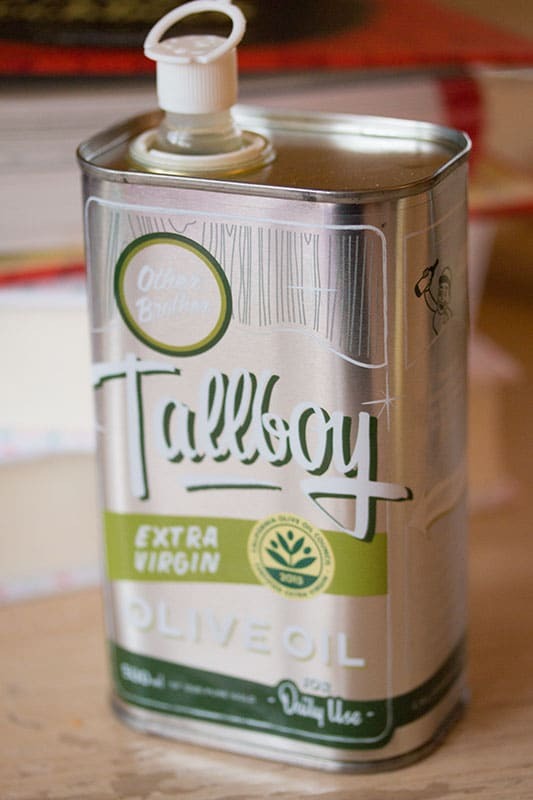 Also be sure to buy olive oils in containers that aren’t clear like cans. This will be sure to keep the olive oil fresher for longer. Olive oils are a great gift for anyone who can appreciate the finer things. 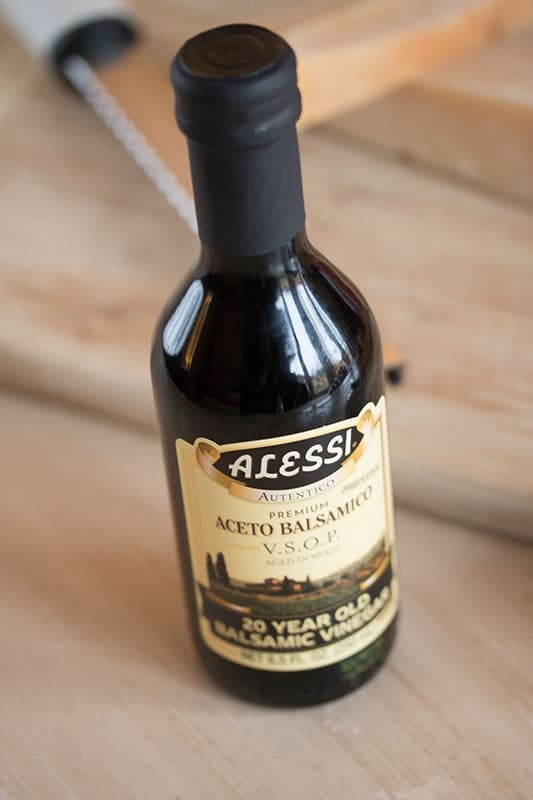 Aged balsamic vinegar is one of those ingredients that can be hard to track down locally and can range from $10 a bottle and up. These vinegars can take decades to make and their flavors can be deep, meaty, rich, and delectable. A cheap aged balsamic vinegar is great additions to dark stews and beef dishes. I wouldn’t use the expensive stuff as an ingredient in recipes. I believe that great aged balsamic vinegar is best used as a finishing sauce. It’s super amazing on a freshly grilled steak. A great gift for those who love a little pucker.